The movie starts out in a sub-division on the outskirts of Las Vegas. The news is playing inside one of the homes describing a series of crazy attacks where people are being bit. The family in the house are brutally murdered by a grizzly creature. The movie moves quickly to the next day. Charley Brewster(Anton Yelchin) is the boy next door. His interest are in fixing his bike, and his Amy(Imogen Poots) his girlfriend. He is trying hard to leave his dorky past behind, and run with a more socially excepted crowd. His single mother is Jane(Toni Collete), a real estate agent in Nevada. A new neighbor has arrived next door named Jerry(Colin Ferrell). Most of their neighbors are employed in Las Vegas, so people who sleep during the day, and work at night are not a big deal. One of Charley's friends from the past has come up missing, but he doesn't want to get involve since they are not cool. Ed(Christoper Mintz-Plasse) bribes Charley with embarrassing videos to encourage him to help find Adam. Ed is cornered by Jerry, and turned into a vampire. The next day Jerry attempts to enter Charley's house, but without an invitation he can't. Through a series of events Charley knows Jerry is a vampire. Charley seeks out Peter Vincent only to find out he is just an actor, and all of his vampire devices are just props except one. Jerry is after Charley, and burns his house down. Charley, Amy, and his mother barely escape. Charley's mother is able to stab Jerry with a real estate sign, and they are able to get away from him. The final battle is in Jerry's basement. With the help of Peter they are able to distract Jerry, and allow sunlight to penetrate the room. Charley is able to kill Jerry with a blessed holy stake. With Jerry dead all of the vampires return to normal. 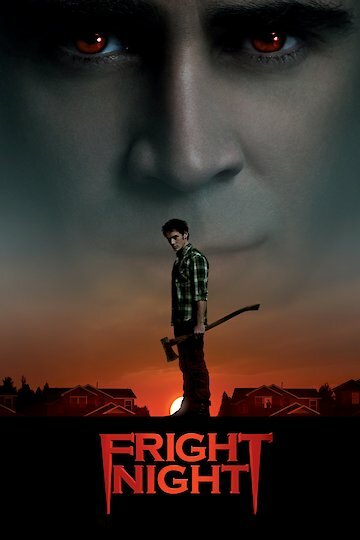 Fright Night is currently available to watch and stream, buy on demand at Amazon, Vudu, Google Play, FandangoNow, iTunes, YouTube VOD online.